This year’s Northern Rockies Avalanche Safety Workshop in Whitefish has drawn another panel of experts to enlighten winter sports enthusiasts about safe backcountry travel. 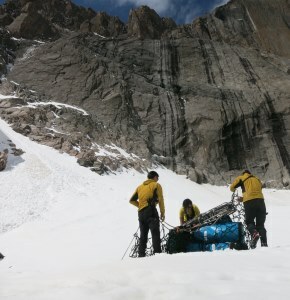 The Northern Rockies Avalanche Safety Workshop is a winter safety workshop dedicated to improving avalanche related decision making skills for winter backcountry professionals and enthusiasts. There will be a variety of speakers, a fantastic raffle, and vendors of avalanche safety gear, winter equipment, including snowmobiles and snowbikes. The sixth annual gathering is November 5th from 9:00 am to 4:00 pm at the O’Shaughnessy Center in Whitefish, with a limited number of tickets selling for $25 in advance. This year’s title sponsor, the Flathead Nordic Backcountry Patrol, is providing scholarships for all local high school students wishing to attend. Interested students can contact friends@flatheadavalanche.org for more information. This year’s event features a slate of five speakers with a variety backgrounds whose extensive expertise will provide insight into the technical elements of avalanche safety. Subjects covered include recent developments in snow stability tests, time lapse photography of avalanche terrain, as well as a play by play review of the 2015/2016 winter season. "It’s great to be able to bring this workshop to Whitefish for a sixth year," said Ted Steiner, part of the Friends of the Flathead Avalanche Center workshop committee. "The workshop is about learning, networking, seeing old and making new friends. It’s also a time to remember that winter is on the way, get excited about getting outside and, most importantly, remember we need to be safe and educated when traveling the backcountry. We need to come home to our families and enjoy season upon season of future winter endeavors." The workshop will feature Bruce Jamieson, founder of the Applied Snow and Avalanche Research Center (ASARC) at the University of Calgary; Diana Saly, Master’s student in the Snow and Avalanche Lab at Montana State University; Dr. Terry O’Connor, Emergency physician, EMS Director, and Assistant Clinical Professor of Emergency Medicine for the University of Colorado; Todd Wharton, survivor of an avalanche incident in the Canyon Creek area; and Erich Peitzsch, the Director of the Flathead Avalanche Center. Last year’s event drew more than 250 attendees. "We wanted to create a workshop that would serve our community, something that had never been offered here before," said Craig Moore, an avid backcountry skier, patroller and workshop committee member. "I think our community is thirsty for this information, which has made the workshop successful." Construction crews are working on some major infrastructure projects in Grand Teton National Park. Visitors to the park will notice activity in the Moose and Pilgrim Creek areas as the park replaces major water and wastewater systems that have been operating for almost 60 years, and have exceeded the design life of the systems. The most visible construction work of the fall is associated with upgrades to the water system that serves Moose and Beaver Creek. The contractor, RSCI Group of Boise, Idaho, and their subcontractor, Westwood Curtis Construction of Jackson, Wyoming, are replacing the water transmission line from its origin at Taggart Creek to Beaver Creek. Work will continue next spring with replacement of the transmission line from Beaver Creek to Moose, installation of water distribution lines at 4 Lazy F Ranch, and replacement of the water storage tank at Taggart Creek. The Moose water project will double the capacity of the system, reduce leaks in the water delivery system and improve fire suppression capabilities at the Craig Thomas Discovery and Visitor Center, park headquarters, and other structures in Moose and Beaver Creek. RSCI Group and Westwood Curtis are also doing preliminary work on the new Moose wastewater treatment plant. Visitors may notice clearing, excavation and foundation work, as well as materials staging for work that will begin next spring. The current treatment plant, which is only 200 feet from the Wild and Scenic Snake River, will eventually be demolished. The new plant will be constructed just northwest of the Moose Post Office and will be outside the 500-year floodplain, as well as meet water quality requirements. Both of the Moose projects were approved in January 2013 after public review and comment in 2011 and 2012. The Moose water and wastewater project is a $12.5 million investment. Work on a new water transmission line that supplies domestic and fire suppression water to Jackson Lake Lodge from Pilgrim Creek is also underway. The project, undertaken by Bairco Construction, Inc. of Lovell, Wyoming, will ultimately remove the Pilgrim Creek wells from the floodplain, a major advantage as annual spring runoff often threatens to flood the well houses and risks contamination of the water supply. The project will also bring the entire water supply system closer to the developed highway corridor, and remove the need for daily maintenance activity within 400 acres of valuable wildlife habitat. The $2.6 million project was approved in April 2015 after public review and comment in September 2014. Visitors to the impacted areas may encounter trail reroutes. As always, visitors should be aware of their surroundings and follow posted signs and directions. After surprising and then being charged by a grizzly bear, a couple fishing along the Lamar River effectively deployed their bear spray and saved themselves from injury on Saturday, October 22. 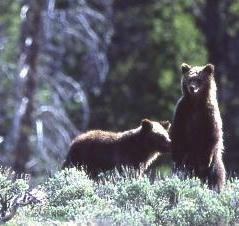 All of Yellowstone National Park is bear country. Reduce your risk of a bear encounter by carrying bear spray. Studies show that bear spray is more than 90 percent effective in stopping an aggressive bear. In fact, it is the most effective deterrent when used in combination with regular safety recommendations - be alert, make noise, hike in groups of three or more, do not run if you encounter a bear and stand your ground if charged by a bear. The 2016 elk reduction program begins today, October 22nd, in Grand Teton National Park. Authorized through the park's enabling legislation of 1950, the program allows for the proper management and conservation of the Jackson Elk Herd. The legislation directs Grand Teton National Park to jointly develop this program with the Wyoming Game and Fish Department, and for the Governor of Wyoming and Secretary of the Interior to approve the annual plan.Respective Federal and state biologists and administrators have reviewed available biological data and concluded that the 2016 program is necessary for the proper management and protection of the elk, including keeping the herd at or near the population objective. The areas open to the program, Wyoming Game and Fish Department Elk Hunt Areas 75 and 79, are generally located on the east side of the park, and north of the Gros Ventre River. The Snake River Bottom, between Deadman's Bar access road to Ditch Creek west of US Highway 26/89/191 is closed to the program. The Antelope Flats area is closed to the program after November 30, and the entire program ends December 11. The areas remain open to park visitors, and the wearing of orange or other bright colors is highly recommended during this time. The park's elk reduction program is an important management tool that differs somewhat from other elk hunting programs in the region. Participants in the program must carry appropriate state license, conservation stamp and permits, use non-lead ammunition, and are limited in the number of cartridges they are able to carry each day. The use of archery, hand guns, or other non-center fire ammunition rifles is not permitted, nor is the use of artificial elk calls. In addition, participants, regardless of age, are required to carry a certified hunter safety card, wear fluorescent orange and carry and have immediately accessible bear spray as a non-lethal deterrent for use during potential bear encounters. Information packets accompanying each permit warn participants of the risk of bear encounters and offer tips on how to minimize the probability of human-bear conflicts. An information line for the 2016 elk reduction program is available at 307.739.3681. 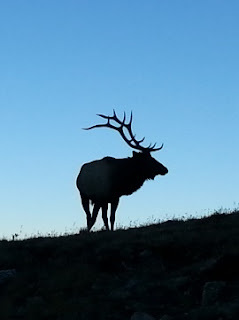 A brochure on elk ecology and a map showing locations open to these special permit holders is available online at http://www.nps.gov/grte/planyourvisit/elkhunt.htm. On Sunday, October 16, a man was attacked by a bear about 3-1/2 miles northeast of Whitefish on F. H. Stoltze land between Wisconsin Avenue and Haskill Basin Road. FWP responded last night to the site and began investigating the attack. The investigation to date shows that a man and his daughter were hiking along a gated road on Stoltze property in the Haskill Basin area. A bear charged the daughter from the left side of the road who at the time was leading 2 dogs on leashes. The bear charged past her and attacked the man. During the attack the man deployed pepper spray and the bear ran off the left side of the road. The investigation further showed that the father and daughter unknowingly walked between what is believed to be an adult female grizzly bear and her cubs. The two cubs crossed the road from right to left during the attack. The bears had been feeding on a deer carcass, which was cached about 35 yards to the right of the roadway. FWP returned to the attack site this morning. They removed the carcass and set up trail cameras to begin monitoring the site and area. The man was transported to Kalispell Regional Medical Center with non-life threatening injuries, including bites to the wrist, shoulder, and head. In the interest of public safety, Montana, Fish, Wildlife and Parks worked with F. H. Stoltze and posted and closed the area where the attack occurred. The closure includes F. H. Stoltze land in the Haskill Basin area, west of Haskill Creek Road and Haskill Basin Road east to Wisconsin Ave. The area will be closed until further notice. 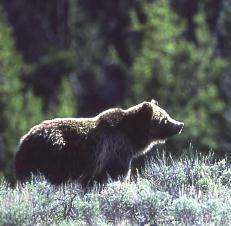 FWP has consulted with the USFWS Grizzly Bear Coordinator to plan further actions. The monitoring results will determine any further FWP actions. FWP is currently not trapping for the bear(s). FWP’s Wildlife Human Attack Response Team is investigating the incident and it is still currently under investigation. The team is comprised of wardens and biologists trained for investigating these incidents. Starting Monday, October 17, a temporary area closure will be in effect for several trails and walkways within the South Jenny Lake area of Grand Teton National Park. The temporary public closure is necessary to ensure public safety during construction activities involving helicopter transport of heavy material to the Hidden Falls and Inspiration Point areas on the west side of Jenny Lake. The public closure is scheduled for October 17 through October 21, though it may be postponed or prolonged due to weather conditions or other circumstances. For safety during the staging and hauling of over 500 loads of rock and construction materials, trails leading from the Jenny Lake east shore boat dock area and the Moose Ponds trailhead to Hidden Falls and Inspiration Point will be closed to all public access. Lake access from the public boat launch will not be allowed. All visitor services in the South Jenny Lake area, including the visitor center, are closed for the season. Signs will be posted throughout this closure area, and park staff will be positioned to provide suggestions for alternate routes for anyone visiting this area of the park. Areas not affected by this temporary area closure include: the Teton Park Road; Jenny Lake scenic loop road; String Lake trailhead; access to Cascade Canyon via the Horse Trail; access to Jenny Lake east shore trail; and access to the Lupine Meadows trailhead. This slight and temporary inconvenience will be short-term in nature. Park managers appreciate the public's cooperation in observing all posted closure notices in the South Jenny Lake area. This rehabilitation and construction work is part of the Jenny Lake Renewal project. The Jenny Lake Renewal is an $18 million public-private partnership effort between the National Park Service and Grand Teton National Park Foundation. This year marks the third of the project's four major construction seasons. 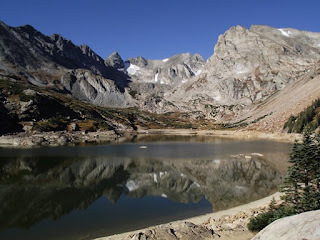 Work on the backcountry trail system on the west shore of Jenny Lake and in the front country visitor area on the east shore will continue next summer. The Going-to-the-Sun-Road (GTSR) is closed for the season from Avalanche on the west side to the Jackson Glacier overlook on the east side. A severe winter snowstorm followed by temperatures below freezing have created unsafe traveling conditions along the alpine section of the Going-to-the-Sun Road. The scheduled closure was Monday, October 17th. Closures on the GTSR will drop to Lake McDonald Lodge on the west side, and the foot of St. Mary Lake on the east side when winter conditions set in. The Apgar Visitor Center is now open on weekends only from 9:00 a.m. – 4:30 p.m. The Apgar Backcountry Permit Office is open 8:00 a.m. to 5:00 p.m.through October 31st. Boat inspections for boats launching on the west side of the park will be conducted at the Apgar Backcountry Office, 8:00 a.m. to 4:30 p.m. daily through the end of October. Boat inspections for the east side of the park are by appointment only. Appointments are available by contacting the park at 406-888-7800 (press 5). You can follow the park on the @glaciernps Twitter account for breaking news and up-to-date park information. The Grand Teton National Park Foundation, in partnership with the National Park Foundation and the Department of the Interior, recently announced that is has raised 80% of the funds required to purchase the 640-acre Antelope Flats Parcel in Grand Teton National Park. 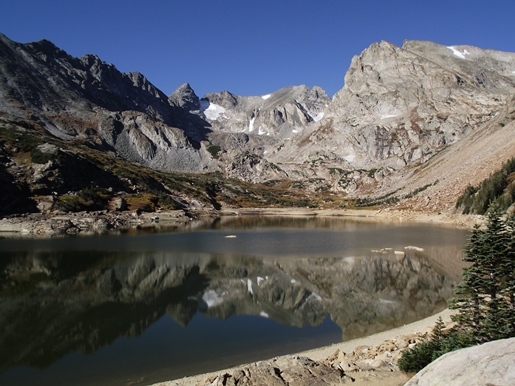 These funds include $23 million from the federal Land and Water Conservation Fund. The parcel is currently valued at $46 million, and could be sold at auction for potential development if it is not purchased by the National Park Service before the end of the current calendar year. Development of this land would be extremely detrimental to wildlife habitat and permanently scar the landscape of Grand Teton National Park. Protecting Antelope Flats: Director of the National Park Service Jon Jarvis from GTNP Foundation on Vimeo. The Crown of the Continent Research Learning Center at Glacier National Park is hosting a brown bag luncheon presentation by Chris Peterson, photographer and writer, on Wednesday, October 5th from 12 p.m. to 1 p.m. at the park's Community Building in West Glacier. The presentation is free and open to the public. 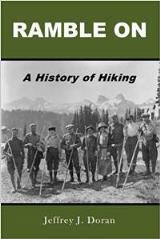 Peterson's book, "Through Glacier Park 1915–2015," shares his experience recreating Mary Roberts Rinehart's 300-mile journey through Glacier in 1915. 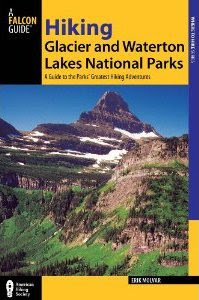 Rinehart wrote about her expedition, which started and ended at the East Glacier train station, in her travelogue, "Through Glacier Park 1915." Using Rinehart's book as a guide, Peterson pieced together the route he thought she took. Through snowstorms, hurricane-force winds, blazing heat, bear encounters and the thick smoke of wildfires, Peterson walked roughly 240 miles, half of it with his autistic son, HJ. Chris Peterson is the editor and photographer of the Hungry Horse News. He grew up near Rochester, New York, moving out West in 1998 to take the job as the staff photographer of the newspaper.